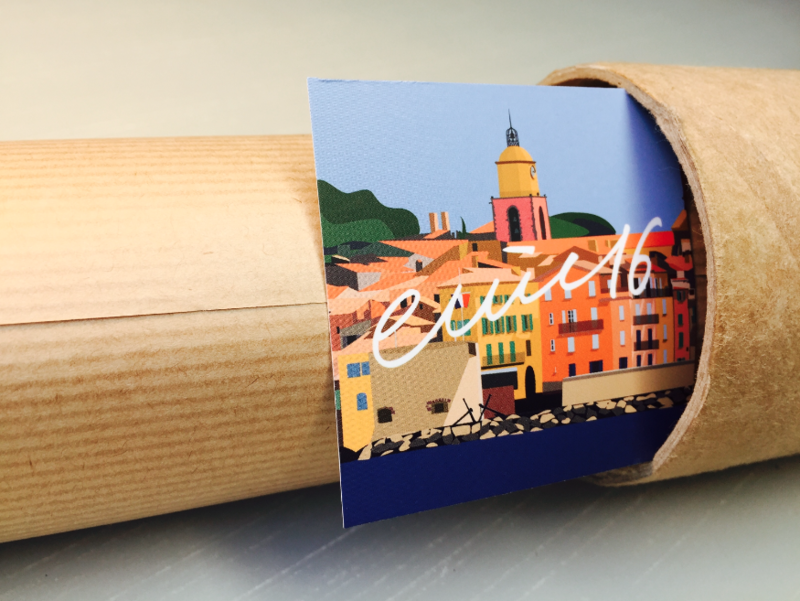 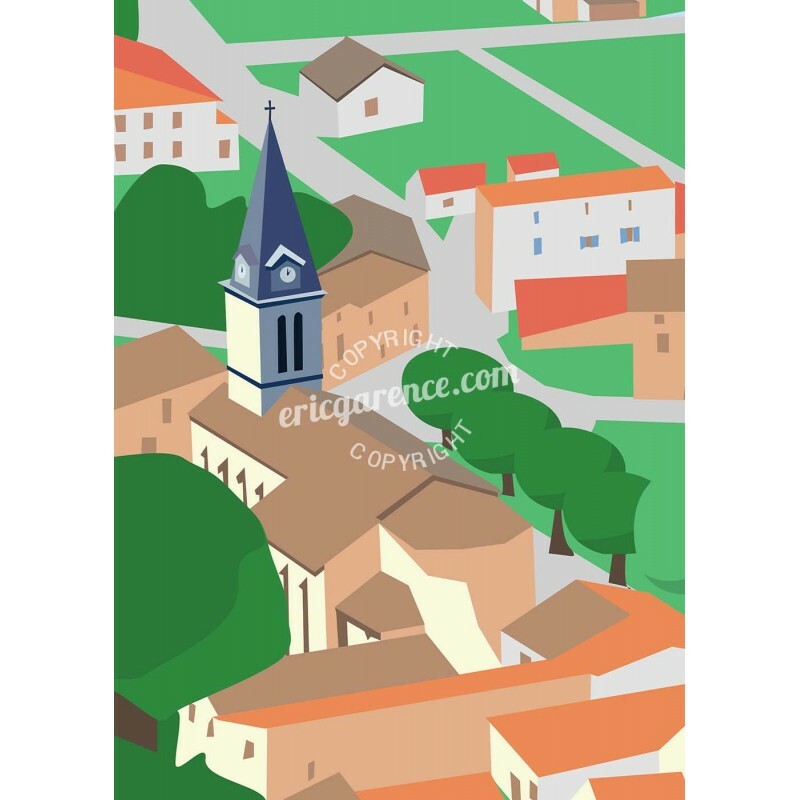 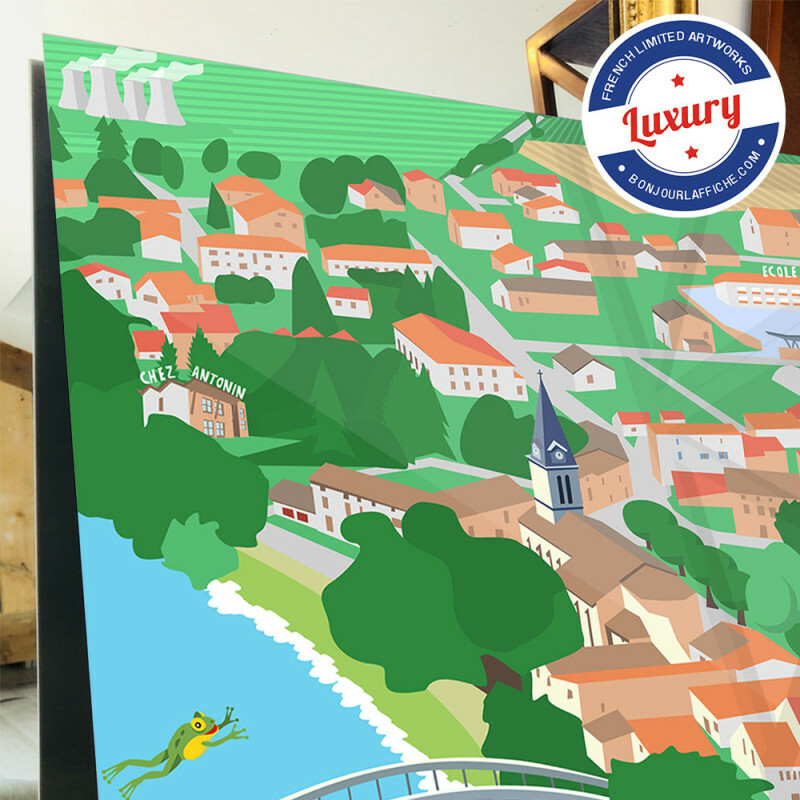 Art illustration part of the series France published in 2017, this original poster is signed Eric Garence and represents Loyettes and the banks of the Rhone. 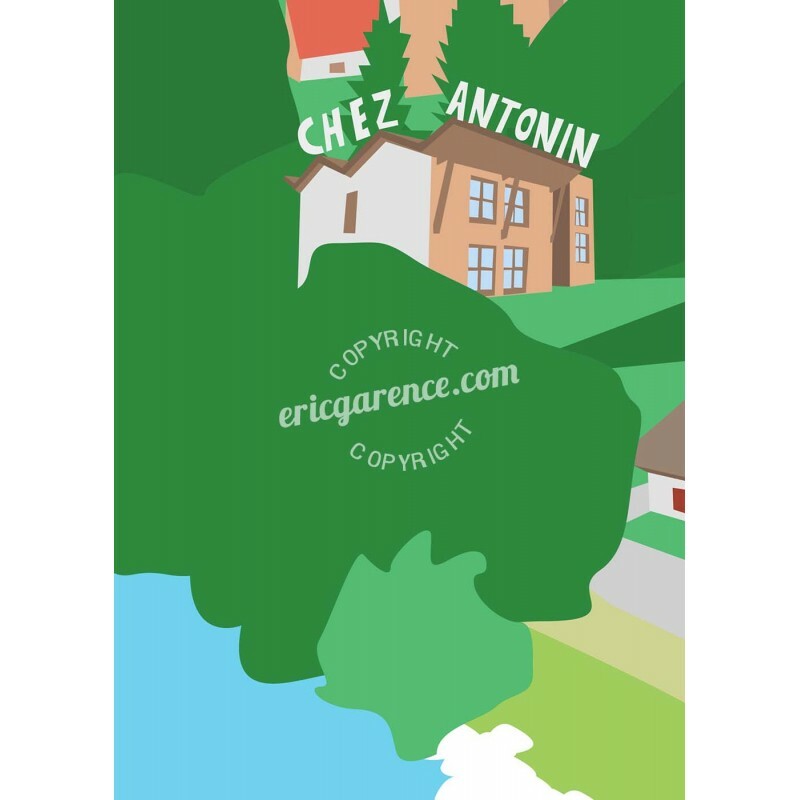 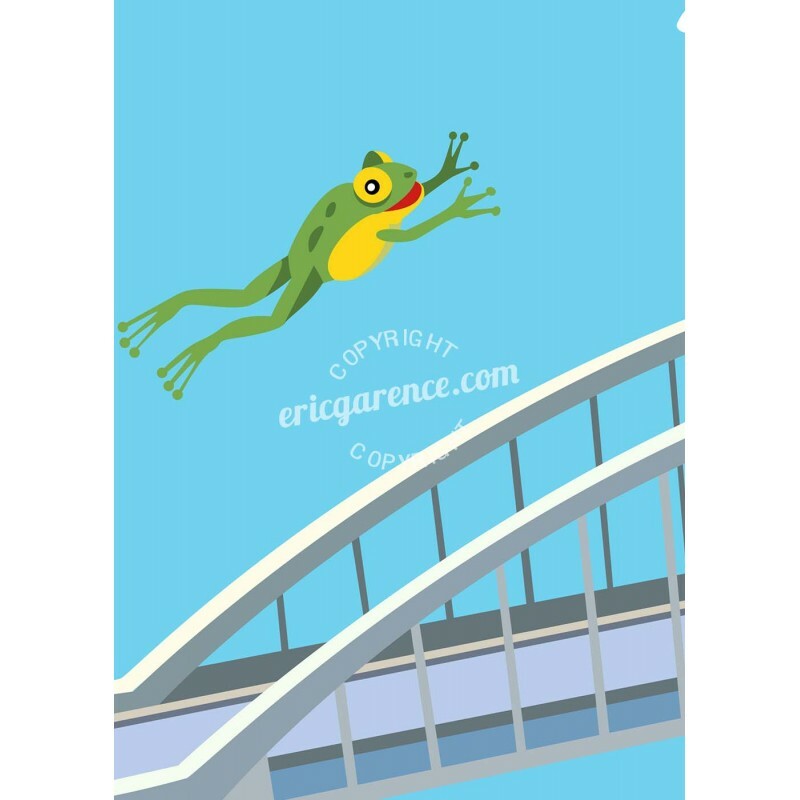 You can find the frog, national dish in this region but also its famous steeple, its institutions as the school, "Chez Antonin The Bascouk" but also in the background fields and the Bugey Nuclear Power Plant. 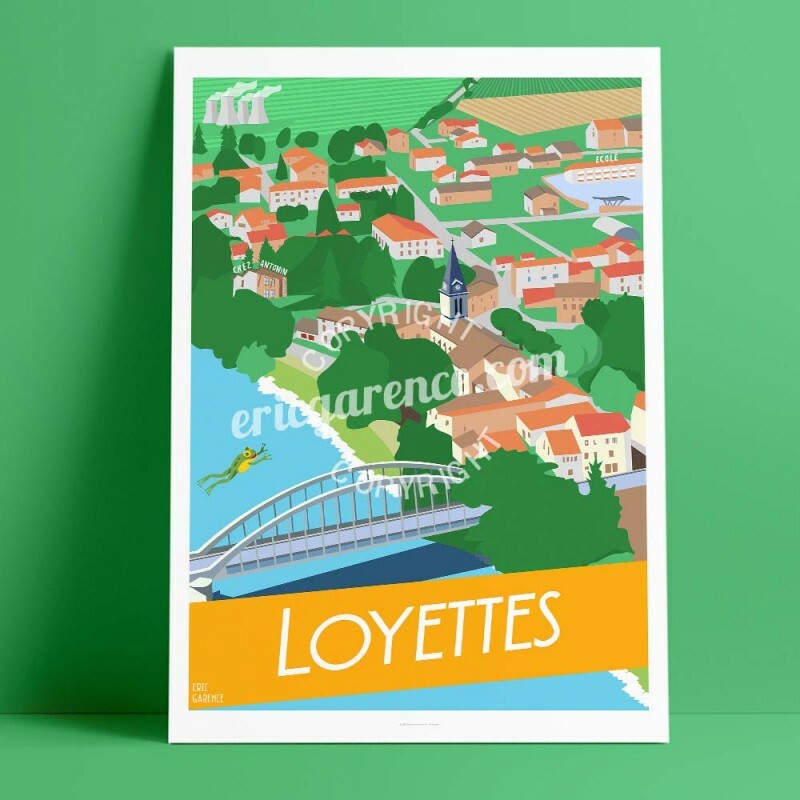 In the foreground, the famous Pont de Loyettes, arch bridge crossing the Rhone and border between the towns of Loyettes in Ain and Saint-Romain-de-Jalionas in Isere. 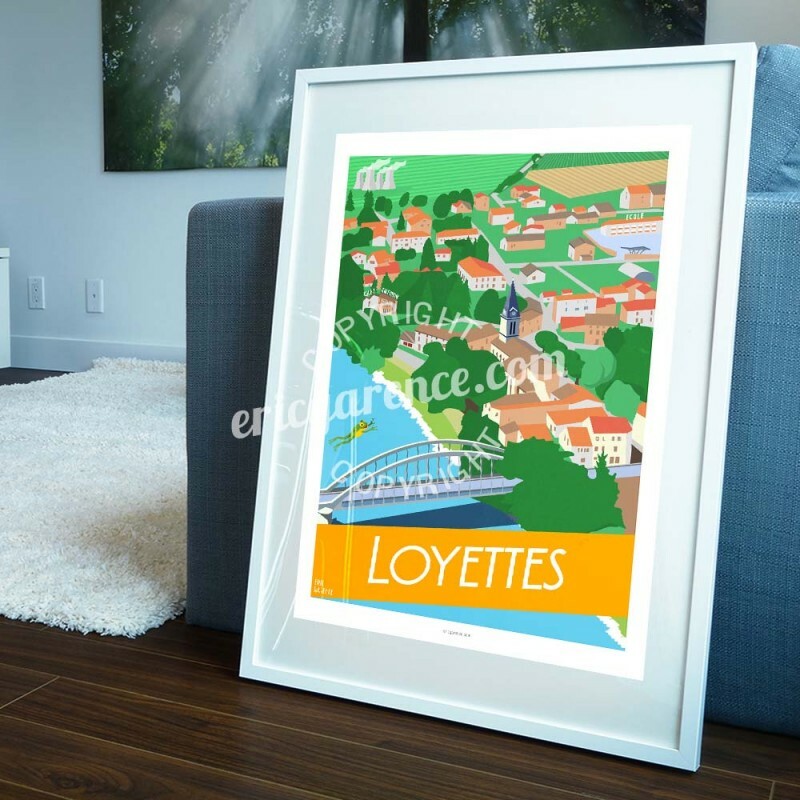 On a house you can see the affection of the locals for the Rhone football team Olympique Lyonnais.